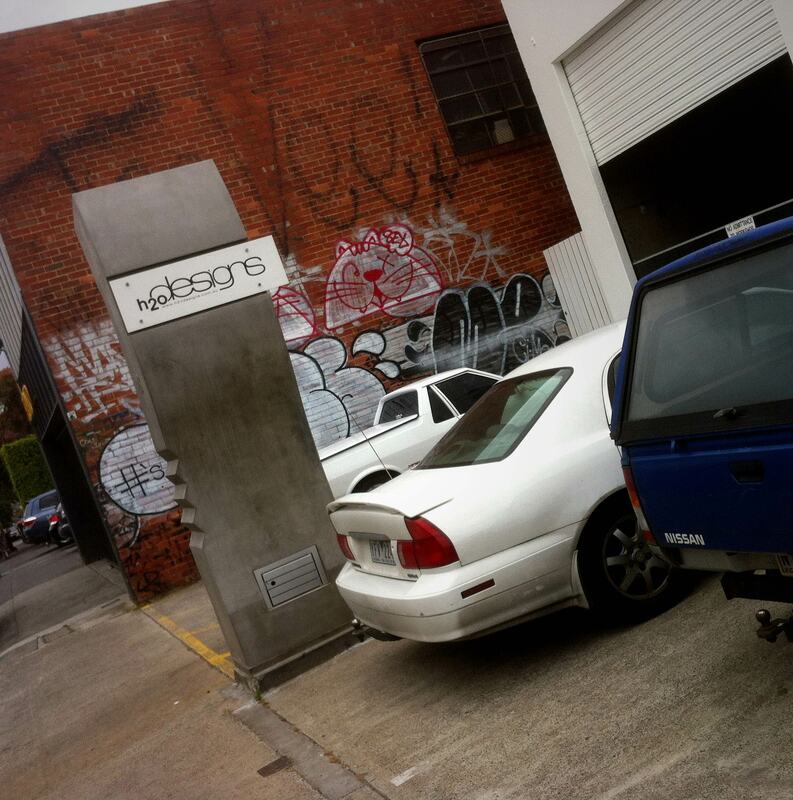 Earlier in the year H2O Designs move into a new factory/office premises in Collingwood, Melbourne. 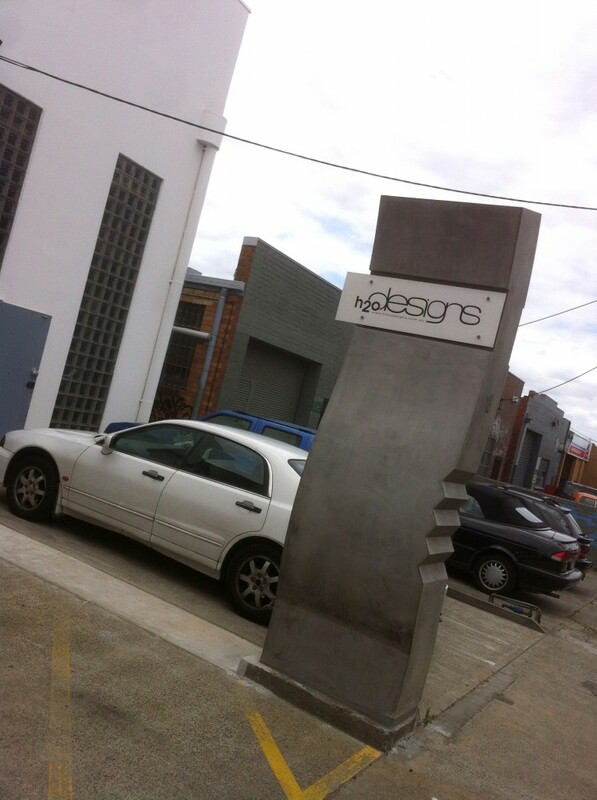 Following the unique style of the old factories and warehouses in the area, we have designed and manufactured a large sculptural curved sign with an industrial and solid feel. The unique signage is built from LICOM76™ and finished in a decorative polished concrete. 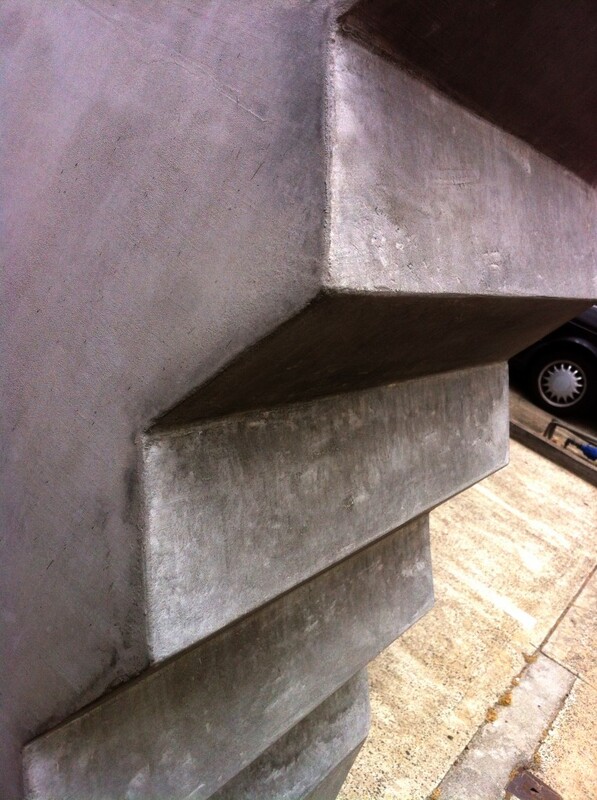 Prefabricated in our Melbourne factory, the LICOM76™ manufacturing process provides an alternative building format to traditional techniques whilst still retaining a pre-formed solid concrete appearance. 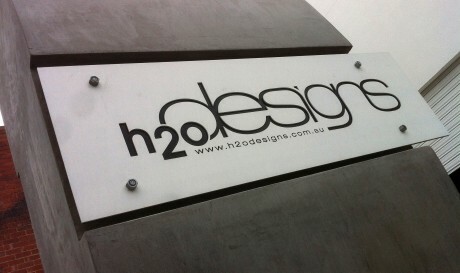 The overall size of the sculptural sign is 950mm (l) x 720mm (w) x 3300mm (h) and includes an access door for the hidden water meter and the H2O Designs logo water jet cut into 2x aluminum signs. The sign is supported by 2 uprights that are fixed to the ground. Internal sleeves inside the structure allowed for it to be slid down these uprights and fixed in position.